If the majority of Iwi members support the Treaty settlement offer and the post-settlement governance entity, there will be some 12 months or so before actual settlement and transfer of settlement assets takes place. 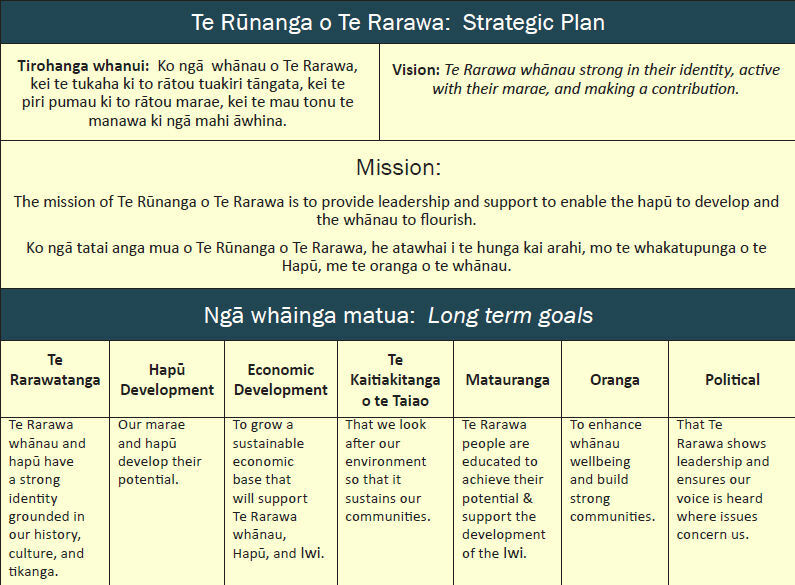 This creates an excellent opportunity for Te Rarawa to enter into a consultative planning process we are calling ‘He Anga Whakamua - Navigating our way forward with purpose and vision’. This will be a consultative planning process involving all our marae and a series of summits to look at different issues. Let us know if you want to get involved. We hope that He Anga Whakamua will help us to make the best informed decisions regarding all cultural and commercial assets and how these can best contribute to the inter-generational aspirations of Te Rarawa. These important decisions are best considered before actual settlement takes place as it allows us to develop a well thought out and practical pathway toward the achievement of the aspirations of Te Rarawa. This process will result in a level of confidence and certainty in the decision-making process because it will be based on knowledge, information and understanding. We will rely on our economic development to underpin our cultural aspirations. With that in mind, the economic performance of the commercial settlement assets will play a very important part in the cultural, social and environmental success of Te Rarawa now and long into the future. We have been using the analogy of trees and apples to illustrate the importance of growing the asset base (trees) so that we will forever have income (apples) to financially support the inter-generational aspirations of Te Rarawa.